Israeli Chief of Staff Eizenkot predicts war with Hamas in 2018 likely. In what has been the direct and pointed warning to date, IDF Chief of Staff Gadi Eizenkot predicted at Sunday's cabinet meeting that a new conflict between Israel and the Hamas terror organization in Gaza was likely in 2018 resulting from Hamas' mismanagement of the Gaza Strip and the correspondingly difficult humanitarian conditions. According to Eizenkot, a severe shortage of electricity and food during the cold winter makes it increasingly likely that Hamas will seek an escalation with Israel as a way of distracting the populace from its lack of basic services. The warning follows a report in the Israeli media on Saturday night which claimed that Israel is considering sending direct humanitarian aid to Gaza in order to avert another round of bloodshed. If accurate, this would be the first time that Israel has sent direct aid to Gaza, likely pointing to the seriousness in which Israel sees the situation. 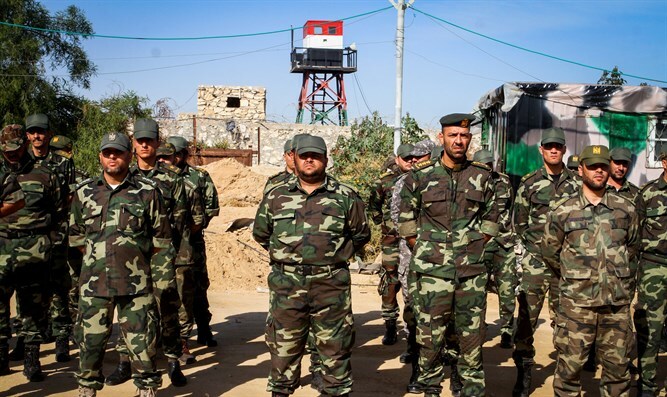 On Sunday, the Arabic-language Al Quds Al Arabi reported that Hamas believes that there is a 95% chance that war will break out within the next few days, pointing to the massive Paratroop Brigade drill that is set to take place in the near future. The report said that Hamas has declared a state of high alert and has been massing forces near the border. Last Tuesday, UN Middle East envoy Nickolay Mladenov warned that Gaza on the verge of "full collapse". According to Mladenov, a key to saving Gaza from the disaster was restoring the government of Palestinian Authority (PA) chairman Mahmoud Abbas to power there, a decade after it was forced out by Hamas in a bloody coup. "Without that Gaza risks exploding in our face again, this time in a far more deadly and violent manner than in the past," Mladenov was quoted as having said at the annual conference of Israel's Institute for National Security Studies in Tel Aviv (INSS).